In her new collection, gifted poet and novelist Kim Addonizio uses her literary powers to bring to life a variety of settings, all connected through the suggestion that things in the known world are not what they seem. In “Beautiful Lady of the Snow,” young Annabelle turns to a host of family pets to combat the alienation she feels caught between her distracted mother and ailing grandfather; in “Night Owls,” a young college student’s crush on her acting partner is complicated by the bloodlust of being half-vampire; in “Cancer Poems,” a dying woman turns to a poetry workshop to make sense of her terminal diagnosis and final days; in “Intuition,” a young girl’s sexual forays bring her closer to her best friend’s father; and in the collection’s title story, a photographer looks back to his youth spent as a young illusionist under the big tent and his obsessive affair with the carnival owner’s wife. Distracted parents, first love, the twin forces of alienation and isolation: the characters in The Palace of Illusions all must contend with these challenges, trafficking in the fault lines between the real and the imaginary, often in a world not of their making. A streak of dark humor, colored with a tinge of pathos, infuses her best work. 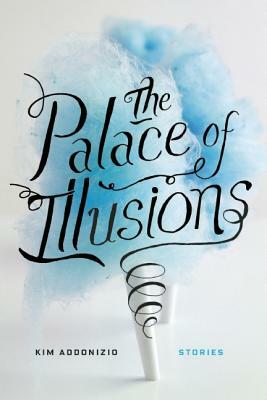 The stories in The Palace of Illusions are searingly beautiful, evocative, and surprising. Kim Addonizio is a master who gives the traditional story form a startling twist. From fairy tales colored by sexual longing to a fresh irreverent exploration of death, this is a collection in the best tradition of Robert Coover and Angela Carter. Addonizio’s talents are manifold. The Palace of Illusions is a collection of many delights, reflecting and magnifying the contradictions and conflicts inherent in human experience. The short stories here are so tight and polished that it’s hard to believe that this is only Addonizio’s second collection . . . A highly enjoyable collection with something for everyone. Though Addonizio’s characters find themselves in unusual predicaments, she nonetheless convincingly renders their psyches. The stories are weighty but unassuming, and readers can identify with the characters whether they’re vampires, carnies, or pet killers. This book is for those who enjoy sardonic humor, forceful narration, and a variety of genres. Poet Addonizio brings her hip, dark sensibility to a second collection of short fiction. [T]he champ of this lovely story collection is ‘Cancer Poems,’ in which a late-middle-aged, middle-middle-class woman in Stage 4 takes a poetry class at a community center. The comic misery of the workshop lets Addonizio get away with a story about the importance poetry assumes in the shadow of death; the perfect ending alternates banal conversation with fragments of Keats. 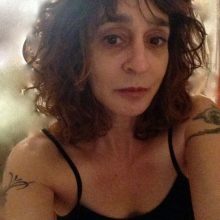 Kim Addonizio is the author of a previous story collection, In the Box Called Pleasure; two novels Little Beauties and My Dreams Out in the Street; five poetry collections; and two books on writing poetry. She recently collaborated with woodcut artist Charles D. Jones on My Black Angel: Blues Poems and Portraits. She has received numerous honors for her writing, including a Guggenheim Fellowship and two NEA Fellowships, and was a National Book Award Finalist in 2000. 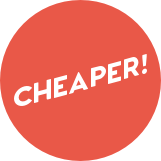 She lives in Oakland, California, and New York City, and teaches Private Writing workshops in person and online. She plays harmonica with the word/music group Nonstop Beautiful Ladies and volunteers for the Hunger Project, a global organization empowering the poorest people in the world to end their own hunger and poverty.